Last week I took part in the most extraordinary learning experience: the first four-day module of a new programme called The Five Realms run by Judith Hemming and Jutta ten Herkel of the Centre for Systemic Constellations. There were many powerful moments that I’m still processing but one seemed to reveal its meaning straight away. Seated in groups of four, we took it in turns to speak for 10 minutes about a subject or issue that mattered to us whilst the other three members of the quartet listened with open hearts and minds, so far as possible without judgment, noticing whatever images came up about the speaker, and feeding them back when the speaker had finished. I spoke about my life after Chris and my determination not just to write but to be a writer. All of the images fed back to me were stimulating but one really hit the spot. I felt the hairs on the back of my neck stand up as the words were spoken. It takes a lifetime of joy and pain to grow this kind of pearl. Mine is comprised of many things including the love I have for my children but I sense that its lustre will come from whatever I manage to learn from loving Chris and being with her as she moved toward death. Her determination to live and die artfully, has prompted many people to live their lives with greater passion and commitment to their own artful practice. In my case, this has meant diving deeper into the practice of writing. Perhaps it was this that inspired the image to arise in the listener as I spoke. For centuries, pearl divers have risked great danger to retrieve these rare and wonderful beads from the depths. There is no other way to find them because that’s where they grow. Only if we are willing to descend, will we discover the pearls we might become. I know that I’m not there yet, but thanks to Chris I can see the oyster beds stretching out below me. 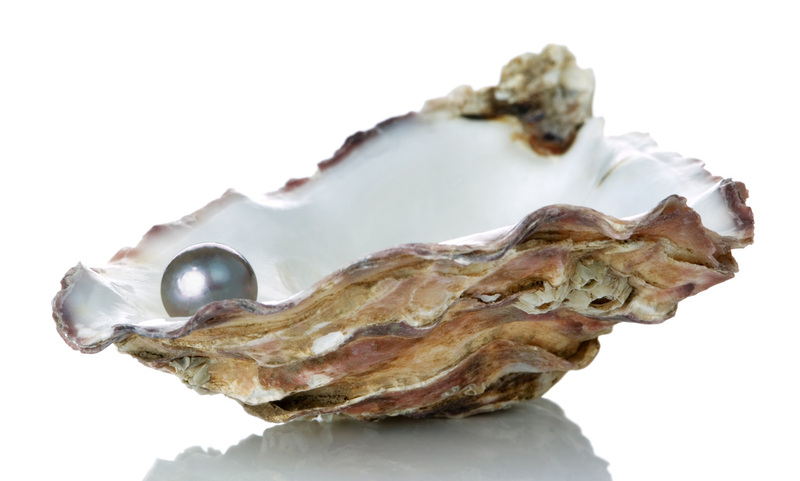 All pearls are precious but some are beyond price. Beautiful piece. And the course looks fantastic! !